I've finally found the perfect fit! 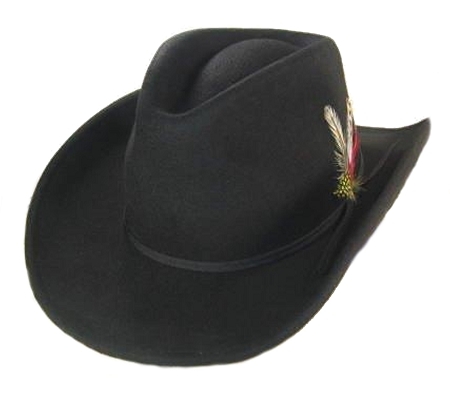 The hat fits according to sizing specs and is of great quality. Both stylish and sturdy. This hat fit my son's head perfectly. He loves it. Yee Haw! Cowboy hits the poker table! I play a lot of Texas Hold 'em and I wear a Cowboy hat when I do. This hat has gotten a lot of great comments (and I made the final table twice since it came!). Bought this for a Christmas gift. I'm very happy with overall quality and look of this hat. I went off of a past review on this 4XL hat with a 26 inch in diameter fitting properly. I to was needing a 26 inch fit, so I'm positive this will be a perfect fit for my friend. I will comment back after the holidays on the fit of this hat. I'm sure he will Love it considering he has never been able to find "any" hat to fit him. :) Also thinking about buying a ball cap in his size. Glad to have found this site.